1.It is safe and using natural ingredients.No aluminium parabens and other harmful chemicals. 2.It smells fresh and nice..although abit sticky when you apply,it will dry up instantly and last all day.Even if you have to walk or work under the sun. 3.it can last up to 3 months since you just need to calit a little bit. 5.It is small and can fit your handbag..dont ever leave home without one!! 6.I said 5 but i have sixth point here. 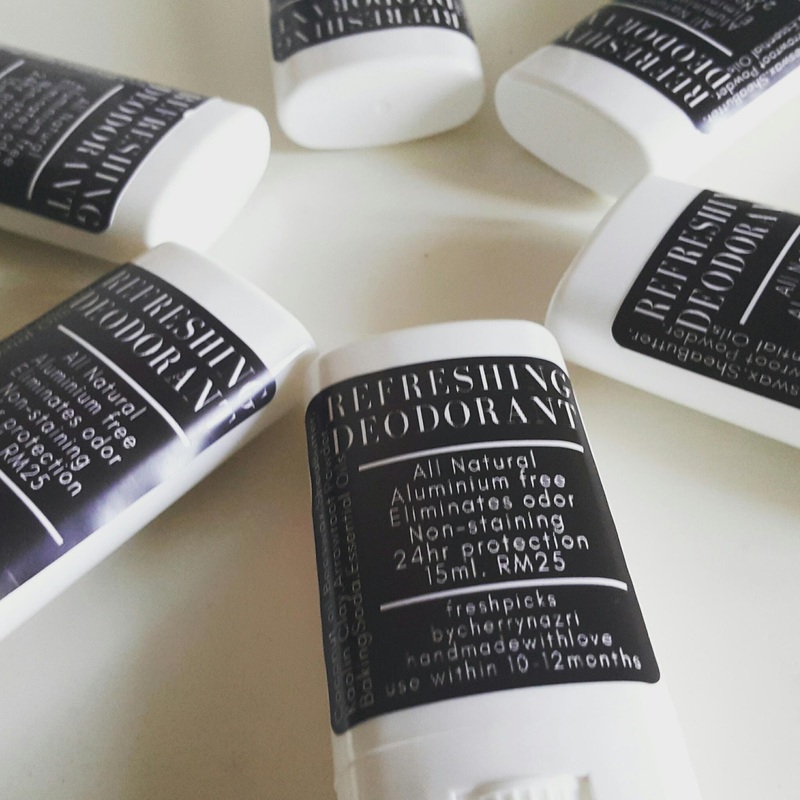 Since we still have promo buy 2 deodorants at RM50 and get free post+free gift... you really should try now.Banyak tu bole save! So meh la try ye. Whatsapp 0193755133 okay.Cod available in KLCC/Setiawangsa area.